We warranty all of the products we sell. All claims should be reported within 24 hours of receipt of the product, after 24 hours Holland America Flowers will assume that all products were acceptable to the customer. Any claims made after this will NOT be processed. We cannot be responsible for damages as a result of prolonged travel times caused by the customer not being present or shipping delays. We are not responsible if flowers have not been properly rehydrated or prepared correctly after delivery. For more on this please see our flower care page. Your decision to purchase from Holland America Flowers confirms your acknowledgment and acceptance of our policies. We will ask for your assistance with pictures, date and time of delivery, and tracking numbers to process your claim. Please know that all claims are handled on a case by case, customer by customer basis. If you have any questions please feel free to call your sales rep or e-mail us with our contact form. If you wish to change your order you must do so at least a day prior to your desired delivery date. We may not be able to process changes to your order without 24 hours notice. Requests to cancel orders less than 48 hours prior to shipping will not be accepted and the order will be delivered as scheduled. 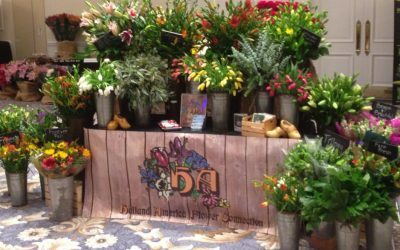 Holland America Flowers will not be responsible for products mishandled by customers or shipping companies. 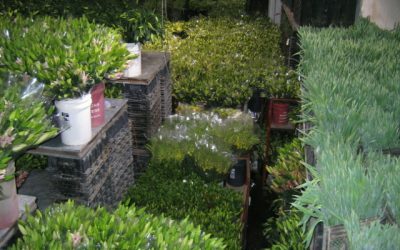 It is the customer’s responsibility to know how to properly care for the products they order, for more on this please see our flower care page. In the event that part of your order is missing, Holland America Flowers will verify the packing of your box. 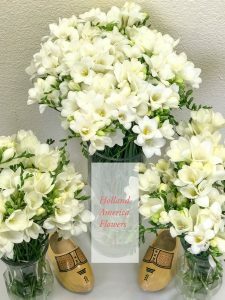 If there is a discrepancy, Holland America Flowers will ship out new product or credit the customer the value of the missing flowers per the pricing on the order. 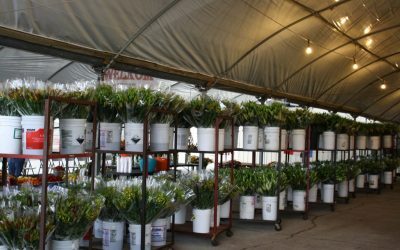 We make every effort to provide the exact flower you order. 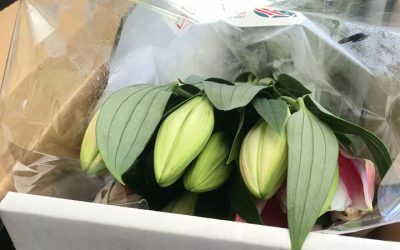 If in the rare event that high demand, crop failures or poor weather conditions prevent the availability of an exact flower, we may substitute other similar flower varieties.